A property manager who plans ahead can account for the typical seasonal occupancy drop and head it off before it even begins. Clever tricks, careful planning, and a bit of pop psychology can bring guests into your hotel to help keep you in the black during off-seasons until you’re back at full occupancy. 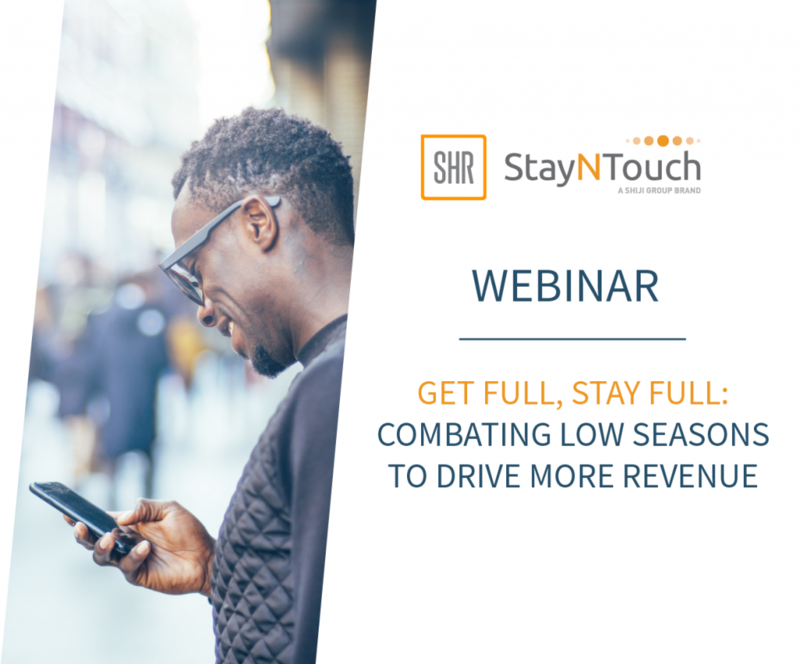 The first step any hotelier should take in counteracting a slow season is to determine exactly when the downturn starts each year. Is it tied to the weather, holidays or other events? Is there a corresponding slump in the social calendar of your locale? Sketching out the boundaries of your off months will help you determine what factors are causing it and come up with a plan to fight it. Once you have mapped out the portion of the year that gives you fits, it’s time for a bit of critical thinking. The solutions to a downturn can range from traditional problem-solving to out-of-the-box ideas for collaborating within your city. In the end, however, it all comes down to getting your ideas in front of the eyes and ears of the right folks. Namely, people who wouldn’t be a part of your clientele during your prosperous months. If the downturn is due to the winter, target winter sports enthusiasts, hikers, and people in business. If the drop-off comes between festivals and major cultural events, market an authentic experience free from crowds. Reach out to local organizations and the city to find out what less-publicized events happen during your down months and try to find a way to tie your property into those occasions. While you’re out looking for new people and opportunities to fill your rooms when things start to get a little slow, don’t neglect your already established customer base. A loyalty program with well-defined perks and special rates for folks who often stay at your hotel can help bring them out for a weekend vacation where otherwise they might have stayed home. Keeping an eye on the likes, dislikes and draws for your most frequent customers is relatively easy given the rise of BI software. Gathering data today’s customers willingly share is simple. When those tools are integrated with mobile, cloud-based property management systems, the data on who stays with you and why can be retrieved in no time at all. The insight allows you to shape your perks to keep those customers returning. All-in-one packages take the stress out of planning a vacation and might help an on-the-fence guest decide to stay at your hotel. If your lull occurs in the middle of the summer, create a discount package complete with outdoor activities around the area to draw in guests. If it crops up when people would rather stay warm and cozy, consider a romantic couples’ package complete with everything your guests might need for a night in. If you see a more consistent dip in the middle of the week, try packaging your hotel with deals that will appeal to business travelers. We know this is the last thing you want to hear, but there’s that old saying about birds in hands. An empty room is doing you no good. A discounted room is helping offset the costs of its own operation. If other attempts of drawing in customers aren’t cutting it, consider dropping your prices in a fairly obvious fashion. We don’t mean that you should drop your prices by eye-popping amounts. You still need to turn a profit, understandably. There are other ways to make sure that a customer knows prices have dropped. Doubling back on that loyalty program, you could easily alert your best customers to the intriguing rates via an exclusive email blast. For those who aren’t already in the know, make it clear that you’ve marked the price down on your website. Call it an “offseason special” if you want. Include the old price with one of those big, red slash lines through it on your website. This trick of putting a higher price next to a lower price is called “anchoring.” It’s a well-established tool to get wary consumers to go ahead and buy something. Use it to your advantage and up your occupancy rates throughout the hard months.